Music paired with streaming and crypto (crypto-currencies like Bitcoin, Ether etc.) are about to explode. We know of at least two “crypto streamers” that just launched last month, and we’ve highlighted a few more coming soon. Streaming is a messy horse race between platforms, and most artists know that they basically have to be on all of them to be in front of as many fans as possible. While the craze over crypto is still a matter of debate, the underlying attraction to it – anonymous payments, low service fees – is worth looking into, especially for independents. Then there’s vinyl, the one bright spot in physical sales, but notoriously tough for independent acts to take advantage of. So, what if a service encouraged digital downloads and merch sales like Bandcamp, and then added streaming like Spotify and Apple – but only for independent acts – and ALSO was a monthly vinyl subscription service? Now, that would be interesting. Well, that’s exactly what Feedbands is trying to do. What is your musical background? Were you in bands, management, or just a lover of music? I’m a musician first. A multi-instrumentalist who tries to learn most instruments, I can play guitar, piano, banjo, mandolin, learning saxophone and violin. Give me the Feedbands’ elevator pitch — what are you trying to accomplish? Feedbands is the most artist-friendly music platform on the internet. Musicians can sell their music and merch and keep 99.99% of their sales, and the sales happen in cryptocurrency so they’re not just earning cash, they’re earning an asset that has appreciated well over the last several years. We also reward artists that get voted well on our platform with a vinyl release that goes out to all our subscribers, and the artists give up absolutely no rights to their music to do the vinyl. They get paid in cash and records, their album gets turned into vinyl, and people all over the world get the record in the mail. I love that this is geared toward independents; that’s a tough market. Why did you choose this direction? This was a personal decision based on passion. I heard the music on the radio and thought it was all completely terrible. I heard music on the street, and in small independent clubs, and it had passion. It was easy to decide to work only with the music being made by people who are truly passionate about it, and not utterly entrenched in the industry. How does the voting work? Is this another site where popular bands compete? Members on our site must pay a monthly fee based on their level of subscription, which includes a digital subscription, a vinyl subscription or a t-shirt subscription. Any paying member can vote music up or down, and as artists get more votes they rise through our charts. Every month we offer deals to the artists at the top of our charts to release their album on vinyl and make a T-shirt for them. Then we send the vinyl and the t-shirts out to subscribers. So, vinyl is the hook, but artists can sell merch and digital. Do artists receive digital royalty payments for the streams? Yes, from any artist’s profile on the site you can buy their music and merch, and the artist gets all the money, except for a small amount that goes to the Dash network for payment processing, which is less than a single cent on every transaction. We are working on something very exciting in terms of streaming royalties, and we hope to have an announcement soon. Dash is your crypto of choice. Why Dash instead of say, PayPal? Head on over to http://feedbands.com – set up your profile for free, add music and merch, get a Dash wallet, listen to and support the other independent artists on the site. I can’t wait to hear you on vinyl. 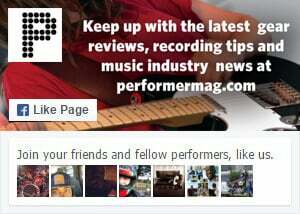 ← Previous Story Music Promotion on Facebook – Is It Worth It?